Maybe because of the worlds I inhabit, I’ve never heard of trickeration (from football) and pet parent. And I hadn’t realized how omnipresent amazing has become — “Many nominators mentioned [amazing’s] over-use on television when they sent their entries,” according to the LSSU webpage, “mentioning ‘reality’ TV, Martha Stewart and Anderson Cooper. It seemed to bother people everywhere, as nominations were sent from around the U.S. and Canada and some from overseas, including Israel, England and Scotland. “Every talk show uses this word at least two times every five minutes. Hair is not ‘amazing.’ Shoes are not ‘amazing,'” Martha Waszak wrote to LSSU. I was part of an online discussion yesterday with a guy who felt the Banished Word List is the product of an elite professoriate trying to police the speech of regular people. My impression is that nominations to the list are made by regular people, and that far from being attempts to muzzle free speech and free thought, nominations and comments are made in a lighthearted spirit. We all use at least some of these cliches. The List of Banished Words helps us hear ourselves talk, and decide whether there will be blowback, or just a response; whether we want to make another Occupy Wall Street reference, or come up with a new way to be clever; and if something is really, truly, undeniably amazing. I wrote about last year’s list here. And I offered my own list here in 2009. 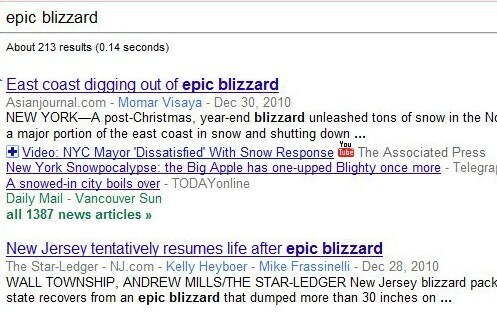 "Standards for using 'epic' are so low, even 'awesome' is embarrassed." The new list of banished words is out. The list is published every New Year’s Day by Lake Superior State University, in Sault Ste. Marie, Michigan. Viral, Epic, Fail, Wow Factor, A-ha Moment, Back Story, BFF, Man Up, Refudiate, Mama Grizzlies, The American People, I’m Just Sayin’, Facebook /Google (as verbs), Live Life to the Fullest. “Standards for using ‘epic’ are so low, even ‘awesome’ is embarrassed.” — Mike of Kettering, Ohio. The Northwest Progressive Institute Advocate, in its blog entry on the banished words list, adds two of its own nominations: “Your call is important to us” and “partial zero emissions vehicle.” I offered my own list here in 2009. The point of such lists is not to reveal to the world what a brittle. humorless pendant you’ve become, but to remind ourselves of basic notions of uncluttered communications, such as George Orwell set down in “Politics and the English Language” (1946). 6 phrases I wish would go missing. Here are 6 phrases I’ve heard or seen enough. Feel free to add yours to the list. “Working for the government is just one area in which the secretary of state hits the demographic sweet spot,” writes the Wall Street Journal. “Green Products are the ‘Sweet Spot’ for Spending During Downtown,” says GreenBiz.com. “Finding That ‘Sweet Spot’: A New Way to Drive Innovation,” insists Knowledge@Wharton. Waiter: Would you like fresh ground pepper with that? 3. I’m all about / It’s all about. 4. How’s that workin’ for ya? Republicans. Eczema. The mug. The book. It’s ok to use if you’re British. Otherwise, “disappear” is a perfectly good verb. It’s often used by unsteady hands to denote humor or a light touch. (e.g. 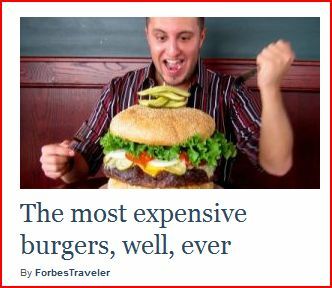 “The most expensive burgers, well, ever.”) Please let me know if you find other examples and I’ll post them.